What Is The Best Hoof Supplement For Horses On The Market In 2019? What Is The Best Hoof Supplement For Horses On The Market? Having good hooves is very important. A horse has four feet, so good podiatry is even more important for them than it is for people! Strong feet are especially important if you want to keep your horse barefoot, or if you are looking to transition to this. 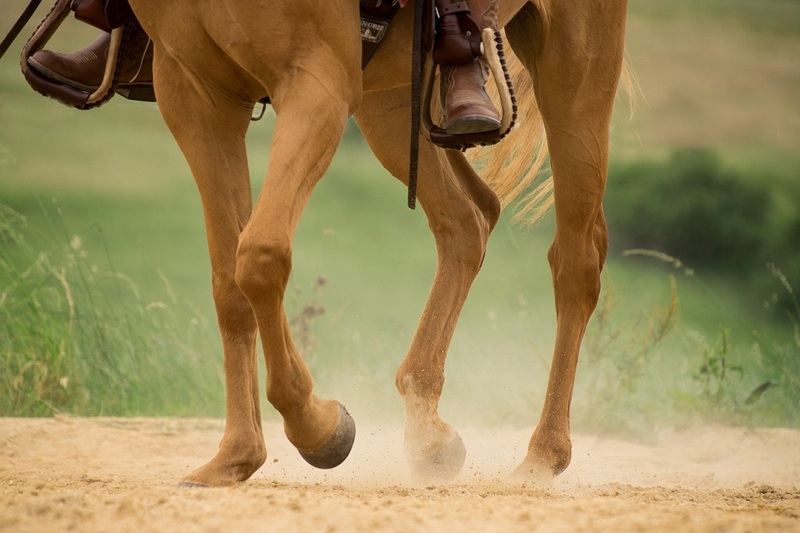 A horse who has been shod his entire life may end up a little uncomfortable when you first take the shoes off, so it is especially important to build up the hoof strength. A good, healthy hoof is a reflection of the inside health of your horse, and it can be based on many things – diet, genetics, shoes – and there are things you can give your horse to improve the health and strength of their feet. 2.1 1. Why use hoof supplements? 2.2 2. Are hoof supplements really necessary? 2.3 3. How do you choose a good hoof supplement? 2.4 4. Where is the best place to get advice on hoof supplements? 2.5 5. What information do you need to have ready for your vet, equine nutritionist and/or farrier? 2.6 6. How much supplementation does your horse need? 2.7 7. What should a good hoof supplement contain? 2.8 8. What does biotin do? 2.9 9. What does methionine do? 2.10 10. What does zinc do? 2.11 11. What does calcium do? 2.12 12. How soon will you see results? Horseshoers Secret is a highly developed formula, designed to strengthen hooves and prevent cracking, while strengthening hoof walls. It contains digestible ingredients that work their way straight to the hoof, making this a good choice for anyone wanting to strengthen their horse’s hooves. Contains a huge amount of nutrients – This product is packed to the rafters with good stuff! Protein, lysine, methionine, calcium, copper, zinc, biotin – to name but a few. Easy to feed – Because it comes in pellet form, it is really simple to add this supplement to your horse’s diet – simply add a few ounces to a feed every day to see amazing results. Great value for money – An average horse will go through this product in a month or two, so you won’t have to shell out your life savings to keep your horse’s hooves happy. Great for all-round hoof maintenance – You don’t have to have a problem horse to use this product. It is ideal for simply maintaining healthy feet, as well as dealing with problem ones. Can make your horse “hot” – A couple of reviewers have stated that using this product has made their horses a little wilder than before, probably because it contains so many nutrients they feel a little wilder than without it. A fantastic supplement for improving a horse’s hooves as well as his overall health. This many nutrients in any supplement will have a good effect on health as well as hooves! This is a perfect supplement for really problem feet. If your horse has issues with keeping shoes on, or has cracking and splitting issues, then this is the one for you. Provides ideal nutrition for hooves – Containing phospholipids, omega fatty acids, vitamins and minerals and amino acids, this is a supplement that goes straight to work targeting the problem hoof areas. Lasts a long time – This one can last up to 8 months, which is remarkable and means that you won’t have to repeatedly spend money on hoof supplements! Good for digestion – With the ingredients being easy on the stomach, this supplement gets absorbed quickly and easily and gets to where it needs to go without causing gut issues. Works quickly so is ideal for problem hooves – If you have a horse whose feet are really bad, you’ll want a product that sorts out the issues as quickly as possible. This supplement should produce amazing results in 4-6 weeks. Worth ordering in advance – Reportedly this supplement can take a while to be shipped, so it’s best to order before you think you’ll need it, or as your supplies are running low. An ideal supplement for those who suffer laminitis, abscesses, cracking of the hoof wall and splitting. This formula is designed for problematic feet, so if this is your horse then get ordering this one. A great supplement for strengthening hooves as well as improving the coat and the general health of the horse. It contains a vast amount of biotin, which is an essential ingredient for hoof heath, along with a host of other vitamins and minerals. Contains MSM – This is an essential ingredient for hoof health. MSM provides the basis for structural proteins to really benefit the strength of the hoof. Simple and easy to feed – You simply add the desired amount to your horse’s bucket feed, or add a scoop to a hay feed, to get the desired results. It’s a palatable supplement so you should have no problems getting your horse to eat it. More biotin than most other supplements – Biotin is THE ingredient when it comes to hoof health. This product contains 32mg of it per 2 ounces, considerably more than the majority of other supplements. 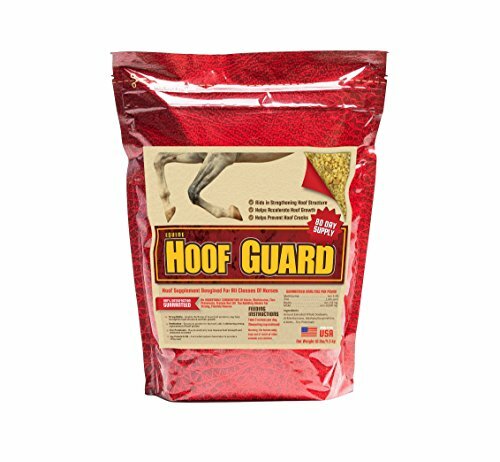 Comes in a soybean base – This protein-rich ingredient is what contributes to a healthy, shiny coat as well as great hooves. This product has very few cons! It is relatively pricey, but you are paying for quality so surely it’s worth it for good, strong hooves. The ideal supplement for strengthening hooves that have issues. This product can help maintain healthy growth as well as going a long way towards fixing issues that have arisen due to poor diet, laminitis, hard ground or just general war and tear. 1. Why use hoof supplements? Just as with people, the feet are the foundation of a horse’s body. If your horse is suffering from weak, brittle, cracked hooves, he will not be able to perform as needed, and he may be in a great deal of pain. Damaged hooves set up a perfect environment for bacterial and fungal growth. Hoof disease can be difficult or impossible to cure. 2. Are hoof supplements really necessary? Ideally, a horse that has a complete diet, a clean, healthy, well-maintained environment, a balanced schedule of exercise and rest and regular, competent attention from the farrier should have strong, healthy hooves. Unfortunately, sometimes genetics throw a monkey-wrench into the works and the result may be a horse whose hooves are his weak point. In this case, supplementation and special attention from the farrier may be needed. 3. How do you choose a good hoof supplement? It’s important to do some research to find just the right supplement to suit your horse’s needs. Look for verifiable product testimonials and solid research. Generally speaking, you are better off purchasing a product made by a well-known, larger company known for conducting solid, independent research than with a smaller company. Larger companies typically have better customer serviced and support, as well. 4. Where is the best place to get advice on hoof supplements? Begin by talking with your vet and your farrier. You may also wish to consult with an equine nutritionist to get a firm diagnosis regarding what may be missing from your horse’s diet. 5. What information do you need to have ready for your vet, equine nutritionist and/or farrier? Make a list of any medications or supplements you are currently giving your horse. Professionals attempting to help you will also need to know details regarding your horse’s diet. 6. How much supplementation does your horse need? Once you have settled on a product, simply follow packaging directions carefully unless you are otherwise instructed by your vet or equine nutritionist. Pay close attention to the instructions because some products recommend a loading dose to start with. After a period of time, you must reduce this to a maintenance dose. 7. What should a good hoof supplement contain? A balanced supplement should contain biotin, methionine, zinc and calcium. 8. What does biotin do? Biotin is one of the B vitamins. It is water soluble, and most mammals need quite a bit of it to maintain healthy cell growth and division. Biotin also strengthens bonds in the collagen fibers within the connective tissues in the hooves and coat. A good hoof supplement should provide about 20 milligrams of biotin daily. 9. What does methionine do? This essential amino acid is one of the building blocks of protein and is essential in helping to build strong, healthy hooves. 10. What does zinc do? This is a trace mineral that helps reinforce keratin, which is the protein that protects epithelial cells against damage. It is the main structural material of the outer surface of a horse’s hooves, coat and skin. Zinc also assists in the absorption of trace minerals such as copper. 11. What does calcium do? Calcium supports the proper processing and absorption of proteins and helps build stronger hooves, teeth and bones. 12. How soon will you see results? You have to be very patient to see results from hoof supplementation. Hooves grow very slowly (about 8 millimeters a month). Old, damaged hoof must grow out and be trimmed off as new, healthy hoof takes its place. For this reason, it could take as long as six months for improvements to begin to show. That’s why it is so important to choose your supplement carefully and then stick with it. Give your supplement choice at least six months (coupled with a solid, balanced diet) before making any changes. Having good feet, for an animal that has four of them, is vitally important. Using a good supplement can work wonders towards not only improving hoof health but also the health of the entire horse, from coat to eyes, to weight gain and everything in between. The supplements are particularly important for horses as they grow older. 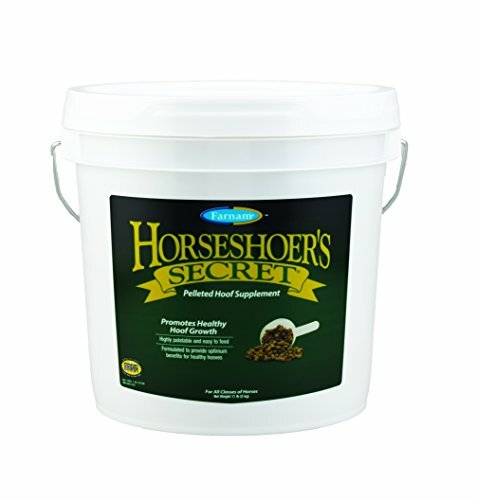 If you’re looking for an easily digestible, effective supplement to improve hoof health then go for Farnam Horseshoers Secret. 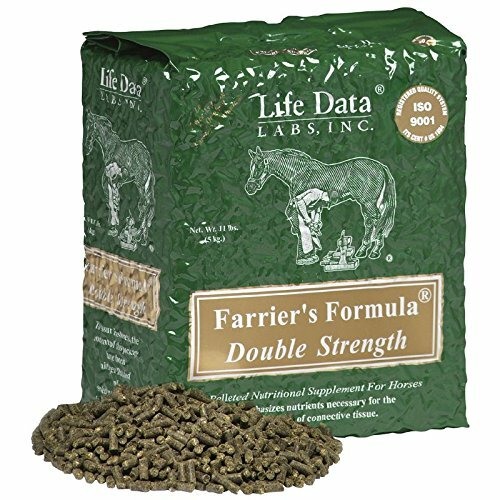 If you need a supplement for some really intensive hoof healing, then try Life Data Labs Farrier S Formula 2X Strength Bag. For a formula that is extremely high in biotin for an intensive hoof fix, then Equine Hoof Guard Concentrated Hoof Supplement with Biotin, MSM, Methionine and Zinc is for you. I never would have guessed that a supplement might have made my horse a little more wild than before. I am glad that reviewers pointed that out because it could be the difference between a fun ride and an injury.